Xiangshu Xiao, Ph.D., associate professor of physiology and pharmacology in OHSU’s School of Medicine, has been at the forefront in the field of cancer chemical biology. 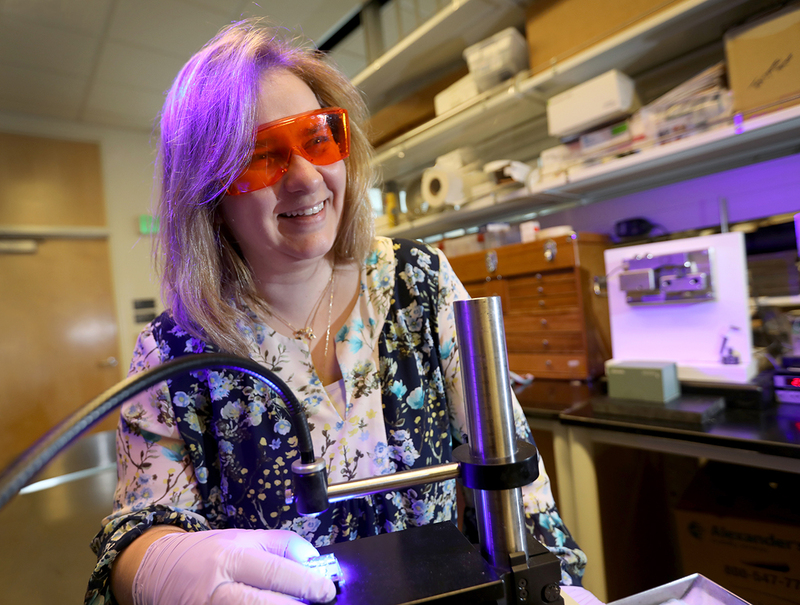 The goal of his research is to develop novel cancer therapeutics, using a combination of chemistry and biology, to create new compounds that target deregulated proteins in cancer cells. In his two main cancer-related projects, Dr. Xiao has developed first-in-class compounds that show significant anti-cancer effects in various preclinical cancer models. His first project involves chemical inhibitors of CREB (cAMP-response element-binding protein)-mediated gene transcription, a nuclear transcription factor that is regulated by dynamic phosphorylation and de-phosphorylation events. Dr. Xiao has been working on this project for nearly eight years, testing the chemical optimization to enhance the potency and selectivity of the lead compound. Ultimately, he created potent inhibitors, seeing dramatic anti-cancer activity in both in vitro and in vivo models. Dr. Xiao and his team have hypothesized that small molecule inhibitors of CREB could represent potential novel cancer therapeutics against multiple types of cancers. These compounds are unique, as no one else has reportedly created cell-permeable CREB inhibitors. Dr. Xiao’s second project involves the development of small molecules to target nuclear lamins. These nuclear lamin- targeting compounds, a by-product from his initial CREB project, have been evolving in his lab over the last couple of years. These compounds directly target nuclear lamins, leading to the inhibition of DNA double-strand break repair pathways in cancer cells. This process could ultimately lead to cancer-free cells in patients. To the best of Dr. Xiao’s knowledge, no one else has identified direct lamin inhibitors. Dr. Xiao’s work didn’t go unrecognized by the office of Technology Transfer and Business Development (TTBD) at OHSU. 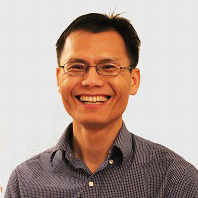 Dr. Xiao’s CREB inhibitor program was awarded gap funding through TTBD’s BioScience Innovation Program to support specific research aims to improve the probability that the intellectual property would be transferred to a commercial partner for continued preclinical development and public benefit. In addition to this gap funding, TTBD identified an industry partner that has since been working with Dr. Xiao to secure Small Business Innovation Research funding from the NIH to continue his product development efforts, which if successful, will ultimately result in the formation of an OHSU startup company. OHSU has been issued patents (US Patent number 8653086, US patent number 9,073,820 and US patent number 9,133,203) for the CREB and lamin inhibitor programs, and Dr. Xiao has published his work in high-impact journals such as Journal of Medicinal Chemistry, Nature Cell Biology, and others.